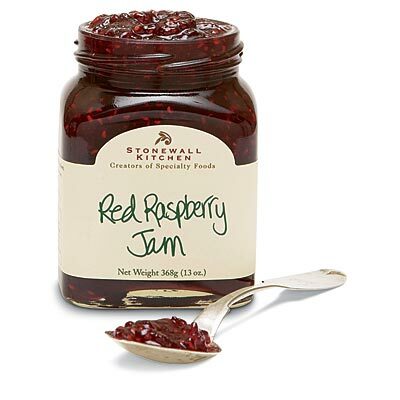 Stonewall Kitchen Red Raspberry Jam - The perfect raspberry jam, made with tart red raspberries, creating a vibrant raspberry flavor. Ripe red raspberry jam enhances any breakfast treat. Add to sauces or dressings for a rich fruit flavor. Stonewall Kitchen Red Raspberry Jam.